Even if one state does not tax your income, the other may require you to disclose your earnings from both locations. 1. Do You Pay State Income Taxes Based on Where You Lived or Where Your Income Was Earned? 3. Do I Have to File an Income Tax Return While Working Abroad? Earning income in more than one state may require that you file your taxes a little bit differently. The filing requirements will depend on the state(s) that you claim residence in. You may live in one state six months out of the year and six months in another. As long as you have a source of state taxable income in each location, including rental property, you must calculate how much you owe each state. Depending on the rules of each state, you may need to file as a full-year resident, part-year resident or nonresident. 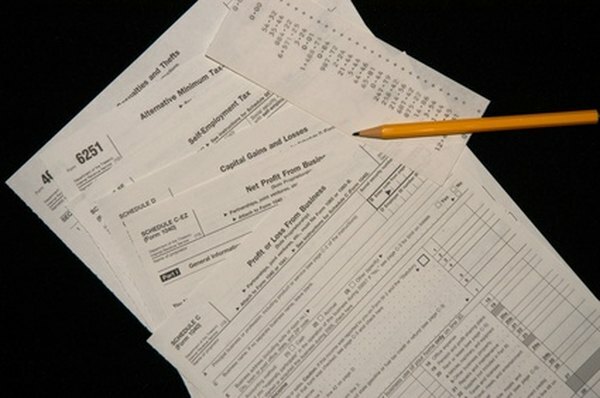 Check with each state's tax filing requirements prior to filling out any forms. As a general rule, you establish residency when your primary home is in that state: You regularly live or return there after vacations and extended periods of work in another state. You could be a nonresident of a state if you don't live there, but earn income from a local business or rental property. Generally speaking, when you relocate to a different state within a single tax year you must file your state taxes twice. As long as both states require you to pay taxes on your income, you might have to file as a part-year resident in each state. Some states adjust your taxable income based on the number of months you can claim residency. For example, the State of Colorado taxes only the income you earn while you are a resident. As of 2011, Colorado's tax laws do not tax income that you earn while living in another state. Married couples who work in different states might want to file separately, according to TurboTax. You may end up saving more money if you file your status as "Married, Filing Separate" in your federal and state returns. The spouse who lives and earns income in two different states falls under a separate set of requirements. One spouse may need to file two state returns, while the other may only need to file one. By filing separately, the income of the spouse who lives and works in the same state might be taxed only once. If you earn interest income on investments located at a bank in another state, you may not have to file two tax returns. As long as you cannot claim residency status or any other type of income from that state, you can file only your state's resident form. However, if you earn income as a beneficiary of a trust fund or estate, you must file a nonresident form for that state. TurboTax: When Do You Need to File Tax Returns in Multiple States? Can a Married Couple File Jointly From Different States? Do I Have to Pay North Carolina Income Taxes if I Work in South Carolina? Do Teachers on a Pension Pay State Income Tax? Do You Have to Be Legally Married to File Married Status for Income Taxes?